Interesting tidbit coming straight from the Swedes: Nintendo’s final console name for Wii 2/Project Cafe will be Nintendo Feel, according to their inside sources that are close to Nintendo. 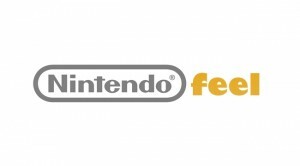 Naturally the name “Feel” sounds almost as stupid as “Wii” did at first, so really it’s right up Nintendo’s alley. It naturally wont affect sales in any manner and overall it doesn’t really even matter what it’s called. Feel, Stream, Cafe, or Project Delta X… we’re still buying the system anyways. Hop inside for the full report. We have already heard that Nintendo will develop a controller with built-in screen. Since the information is leaked, it has drawn parallels to both Apple iPad and how Nintendo used the Game Boy Advance hand control to a few Gamecube games. But the new screen controller has another dimension – convey the sense of touch. Our source using the working title of Nintendo Feel . Haptic technology is a form of tactile feedback Used To Simulate the experience of Different objects best moments on screen. The player cannabis move Their fingertips across a surface and Clearly Feel the Difference Between Soft, smooth or rugged texture. Electronic companies across the World Have Been Conducting research in this field for years. It’s Been That rumored Apple is close to patenting a similar technology, and we’ve seen the Toshiba demonstration of ‘New Sensation UI Solution’ That Applies a thin film over a screen in order to Achieve a haptic effect. In Nintendo’s case, this is a natural progression of Both the Nintendo DS touch screen & the Wii technology. And sure, anyone can imagine what the feeling of furry coat against the fingertips would make for Nintendogs. One need not be especially familiar with The Legend of Zelda for the understanding of the fantastic in order to draw patterns in the sand, feel the coolness from the river, burn on lava or perceiving structures of the bark of an old tree. But at the same time, Nintendo Feel an experience you will not want to explain in words, but just put in the hands of the player. Which probably explains why Nintendo chose to have playable demos at E3, with in June, although the finished console not being launched until 2012. The other juicy tidbit in there is the ability to convey the sense of touch, which yes, has actually been a technology that has been in research by other companies (seriously, you can google it if you’re interested). Naturally take this with a heavy grain of salt, because to implement any such tech would cause the price of the console to skyrocket.